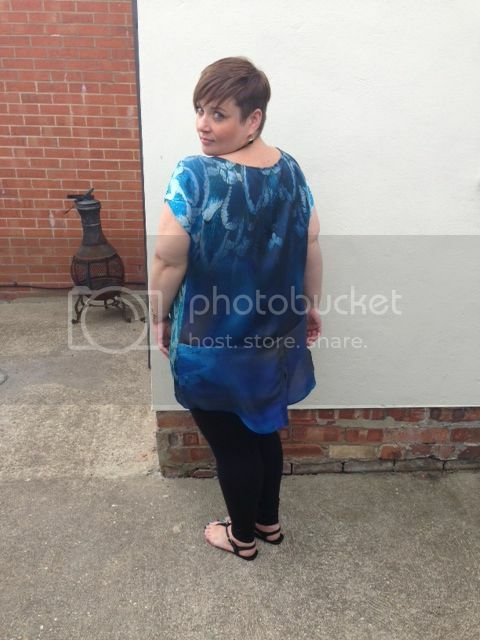 They also sent me this beautiful blue feather print top. This isn't something I would have instantly picked for myself, but oh my goodness, it's so beautiful and looks so much better on than on the hanger too. The soft silky material feels really special and the vibrant colour is just gorgeous. As it happened about 5 minutes after taking these pics the heavens opened and a full on storm happened so I quickly changed my sandals for biker boots and popped on a jacket, so it's definitely workable for all weathers and I think it would look gorgeous with some wet look/leather look leggings and heels for a night out too! I love the detailing to the back they say the print fades out the the cute fishtail which dips down at the back. I'm not sure on sizing as this was a sample and didn't have a size in it. I presume it's a 22 in which case the fit is perfect! 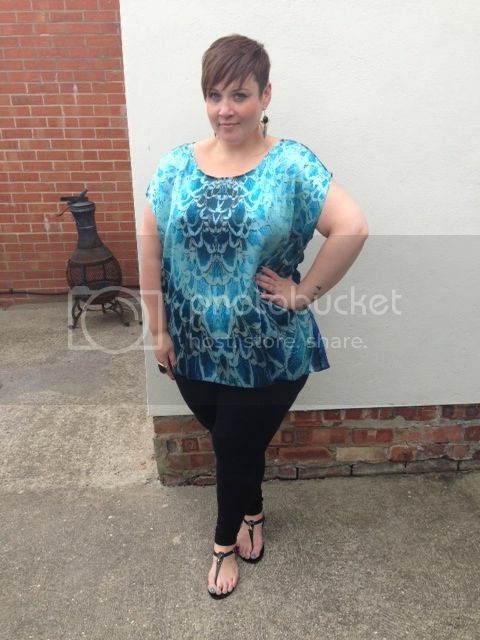 But it might be worth trying on or ordering 2 sizes as there is no stretch to the material. What's stood out from the pieces I've tried out from this collection is the outstanding quality and attention to detail. They are quite "grown up" but not frumpy which I love! Beautiful top. Love the print and the colours. Suits you great. I don't know that I would look twice at that top on a hanger in a shop, but it looks great on you. The colour and style are amazing. oh, mrs. bebe, you are so adorable!! and i love your style and happy attitude. thanks for sharing with the world! I love the top and how it looks on you! the colors are beautiful!